The creatives, the makers, and the movers of tomorrow are already here. We’re looking at you, today’s teens. In 2016, the Henry Teen Art Collective was formed by Henry staff and a group of 15-18 year old individuals from schools across Seattle. 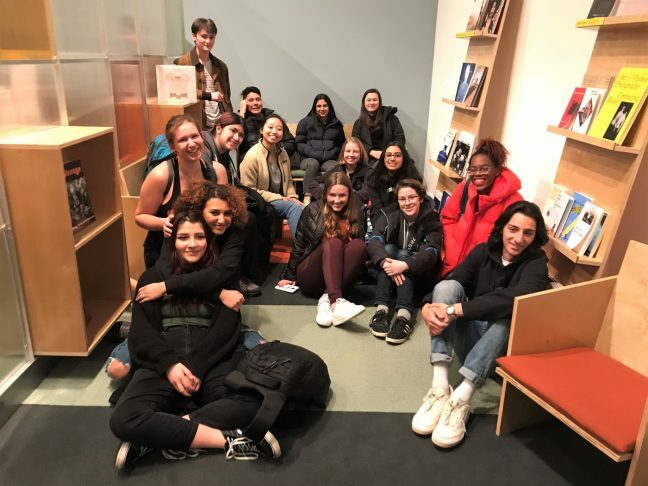 These motivated and art-curious teens created a program that uses the Henry as a starting point for exploring interests in museums and the arts community. At the end of that first year of the program, they launched a 'zine with the theme of "Barriers Between Us." In 2018, the Collective made another 'zine, called "Teen Survival Guide." Each year, a group of new and returning members gather to build community around contemporary art and current issues through meet-ups with artists, creative professionals, and members of the Henry staff. The Collective plans events, creates zines and special projects, and tracks their activities and ideas through Instagram @henry_teens. Follow along! Admission to the Henry is free for youth – just bring a student ID – and it’s easy to get here by public transit. Attend our Public Programs for a discounted rate by participating in our partnership with TeenTix and engage with the arts across the city! Check out our upcoming events and opportunities below. For questions about the program, email contact-teens@henryart.org.